With the ongoing campaign of ‘Incredible India’, the country has managed to pop up on the travel map of the world as one of the most popular destinations in recent years. This has given tremendous boost to the hospitality industry in recent years. From a students’ perspective, the current scenario has brought a great deal of opportunities for them in terms of jobs and internships. Not only professional boom but a stream of Hospitality Scholarships and Financial Programmes are also aiding enthusiasts regularly. A broad spectrum of fields is available for students desiring to pursue hospitality administration and management courses. But financial constraints may dampen their enthusiasm. This is where Buddy4Study comes into play. 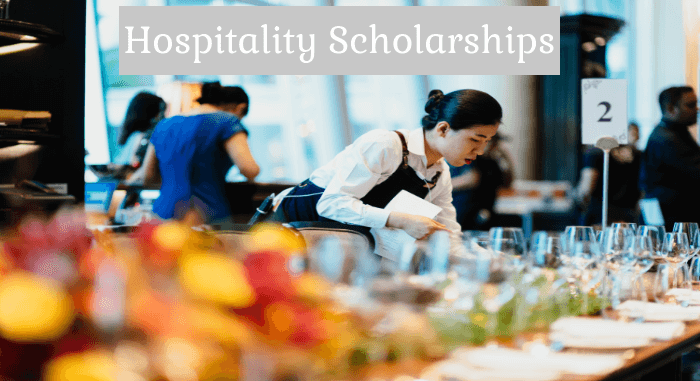 Since there are plenty of scholarships available, if one plans to study hospitality management, Buddy4Study has prepared a list of top hospitality scholarships for students. Launched by Bournemouth University, this scholarship is designed to provide financial help to those students who hold a remarkable record in the concerned field of study. The student holding a UK upper second-class honours degree or an abroad equivalent, is eligible to apply. The scholarship includes 50% tuition fee waiver. A Buddy4Study initiative, the objective of this scholarship is to support meritorious students belonging to underprivileged section of the society. To be eligible, the applicant must be pursuing graduation and must have scored at least 75% marks in the last examination. He/She should have a family annual income not more than INR 2 Lac from all sources. The scholarship amounts to INR 20,000 per scholar. Siksha O Anusandhan University has announced this scholarship for students who will perform brilliantly in the test. The candidates desirous of availing this scholarship must have secured 60% marks in Class 12 (for undergraduate courses) and graduation (for postgraduate courses). The scholarship is worth up to INR 50,000. Sant Nirankari Mission has launched this scholarship scheme with the aim to provide educational guidance and financial assistance to students who want to pursue degree or diploma courses. The students with family annual income less than INR 3.5 Lac can apply for the scholarship. Up to 100% tuition fee waiver will be given to the qualified students. Hospitality scholarships with 100% tuition fee waiver do come by that easy. Any true hospitality studies seeker should not miss this opportunity. Announced by Colgate, the objective of Colgate Dental Cream Scholarship is to help students get better education and have a bright future. The candidates who are below the age of 21 years are eligible to apply for it. 25 Hospitality scholarships are worth INR 1 Lac and 276 scholarships are worth INR 10,000. Le Cordon Bleu New Zealand has started this scholarship with aim to provide superior culinary education to the desiring candidates. To be eligible, an applicant must have an IELTS score of 6.0 without sub-score under 5.5. Each qualified student will receive a scholarship worth NZD 7410. Venture into the growing hospitality industry of India with the help of these Hospitality scholarships and many more.